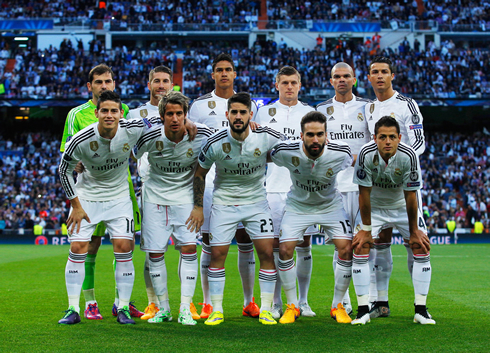 ﻿ Real Madrid 1-0 Atletico. Chicharito delivers the late winner! 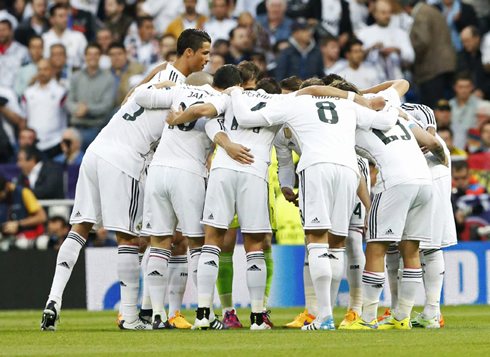 22.04.2015 » Real Madrid 1-0 Atletico. Chicharito delivers the late winner! 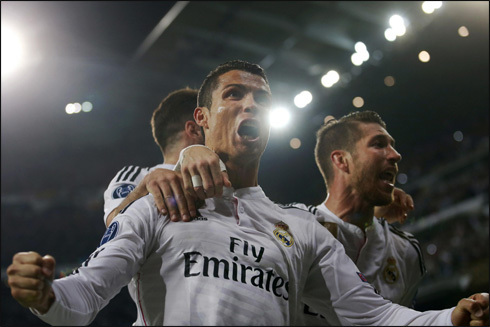 Real Madrid are through to the UEFA Champions League semi-finals, after beating their city rivals Atletico 1-0 this Wednesday at the Santiago Bernabéu. The hero of the night ended up being Chicharito, who got to score the crucial winner late in the second half, after a great assist delivered by Cristiano Ronaldo. The first leg had been an up and down affair, and in many ways a disappointment. Real Madrid dominated the first half last week in the Calderon, but they could not put away their chances and ultimately the match ended 0-0. This time, however, without the likes of Luka Modric, Karim Benzema and Gareth Bale many wondered how the still reigning European champions would respond. Carlo Ancelotti opted for a bit of a change, inserting Sergio Ramos into the middle of the park, replacing Luka Modric. While Madrid surely lacked the Croatian’s creativity, Ramos added some more steel to the midfield and ensured that Madrid wouldn't be pushed around by Atletico's more physical players. And what a matchup it would be. Like most games against Atletico (surely that 0-4 loss was the ultimate aberration), Madrid largely controlled the match but struggled to break down the Atletico defense. A few half chances here and there were enough to at least test Jan Oblak, the player largely responsible for the 0-0 aggregate score coming in, but still it was a cagey affair as both teams cautiously approached the encounter. The best chance of the half came due to Dani Carvajal's pressing. After stealing the ball from a few yards outside the box, the Spanish full back played the ball over to James Rodríguez, who immediately played it through to Cristiano Ronaldo heading towards goal. But Oblak, like he did a week ago against Gareth Bale, did well to make himself big and ultimately block the shot. The second half would bring more increased pressure from Real Madrid, but try and try as they may, it was just too difficult to break down their city rivals. That was until Arda Turan's red card, which would turn out to be the biggest turning point of the match. The Turk, who had been previously booked for a foul on Toni Kroos, committed a second bookable offense after clipping Sergio Ramos as he cleared the ball. With their opponents down to 10 men, Real Madrid moved in for the kill piling on the pressure non-stop. It would eventually pay off minutes from the death, as Javier Chicharito Hernandez's tap in after some excellent combination play from Ronaldo and James Rodriguez carved open a hole in the Atleti defense. The Mexican, who to this point had endured a rough season in which he's hardly seen any playing time, fell to the floor in ecstasy as the Bernabeu's collective nerves were calmed. If there is one thing about Madrid, it's the never give up attitude that Los Blancos constantly live by and this game was, yet again, another sign of it. Real Madrid now move onto the semis where they will face either Barcelona, Juventus, or Bayern Munich, knowing that the quest for the 11th Champions League (the "Undécima") is still well and truly on. 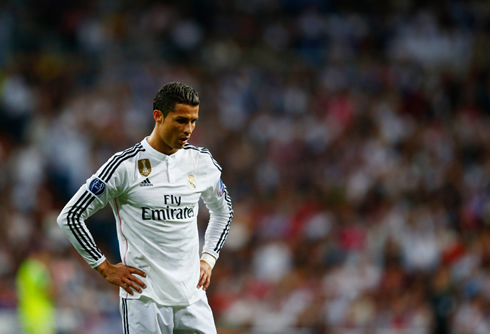 Cristiano Ronaldo next game will be for the Spanish League against Celta de Vigo, on the 26th of April of 2015. You can watch Juventus live stream, Celta Vigo vs Real Madrid, Espanyol vs Barcelona, Zenit vs Sevilla, Fiorentina vs Dynamo Kiev, and Napoli vs Wolfsburg, all matches provided from our free football streaming game pages.